Similar to the fee-based credit program in Soquel Creek Water District, a community may establish a water conservation bank where water conservation offset credits, community conservation program savings, and unused water rights can be deposited and sold to developers. This is a wise option for communities as over time standard offset programs like toilet replacement become less viable as there are less and less inefficient toilets to replace. For this reason, water demand offset policies should be designed so that they can be easily modified to adapt to new opportunities and challenges. Having multiple options provides flexibility and extends the lifetime of an offset program. 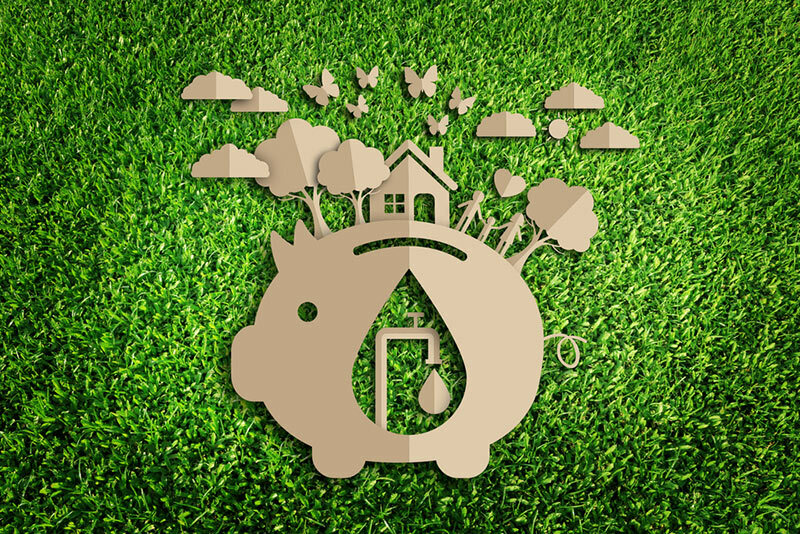 A water bank provides a mechanism by which a credit owner can readily transfer water offset credits to meet its obligations and potentially choose a variety of offset options. It also helps the City ensure compliance, which could include assessing surcharges on excess water delivered if the new development consumption exceeds its projected budget. A water conservation bank may also be an efficient mechanism by which not all conserved water is allocated to growth. For example, some of the water savings could be allocated to storage, i.e. to remain in the aquifer, to increase drought resiliency. Offset fees could also be held by a bank to potentially fund water supply development such as upgrading a wastewater treatment plant to enable reuse or recharge. A municipally operated offset credit bank appears to be a logical evolution of an offset program as it provides more control over water resource management as well as promotes a more equitable and efficient program. In addition, developers prefer to pay offset fees or purchase credits rather than assume responsibility for water conservation actions themselves, for which they lack expertise, and a bank may provide more program flexibility and oversight for credit management. Santa Fe initiated a water demand offset program due to drought sensitivity of its surface water supply, instances of summer peak demand that exceeded its system capacity, and increasing projected demand. The original offset program was an open market that focused on toilet retrofit conducted by developers. This led to speculation by installers and increased costs to developers. To address this problem as well as the exhaustion of the available pool of inefficient toilets, the City revised its program in 2010 to create a City Water Bank with expanded water conservation options. The City Water Bank includes the following options: 1) customer water conservation credits (that can also be donated to parks and affordable housing); 2) city water fixture and appliance rebate program savings; 3) “free stuff” program where 50% of the conservation savings goes to the bank (e.g. give-away showerheads and faucet aerators); and 4) consumptive use water rights. The customer conservation credit component is a voluntary program whereby the water customer signs a contract agreeing to retrofit a fixture or change their water use. The City pays the customer for their action and monitors the customer’s water use. The amount of water conserved goes to the City Water Bank. Depending on the size of the development, applicants are required to retrofit existing houses or transfer water rights prior to issuance of a new building permit. A “Development Water Budget,” approved by the Land Use Department, determines the type of offset, with larger development requiring transfer of a water right. The developer pays a fee to the City Water Bank or uses banked conservation credits to offset the new demand. The amount of demand that must be offset is equal to the development water budget plus an additional 9.8 percent; the latter is termed “contingency water,” which includes water used for fire hydrant testing and water loss. Water rights owners can deposit water rights in the City Water Bank and then sell them to developers who need the water. Banked water (right) credits and water conservation credits can be transferred, but the City must be notified. If the city no longer requires developers to offset demand, any credits held in the bank can be sold to the City.